Robyn Vilate: hubs rocks my world. i honestly can't believe i forgot to post this! if any of you follow my instagram you probably saw this post a while ago- but i completely spaced getting it up on the blog for everyone else to see! but i had to get these pictures up to show off my hubs' amazing talent! i'm sure many of you have seen this photo on pinterest, as it has made it's travels onto MANY boards. well... i had seen the photo and decided i wanted to turn my old cream toms into something similar. 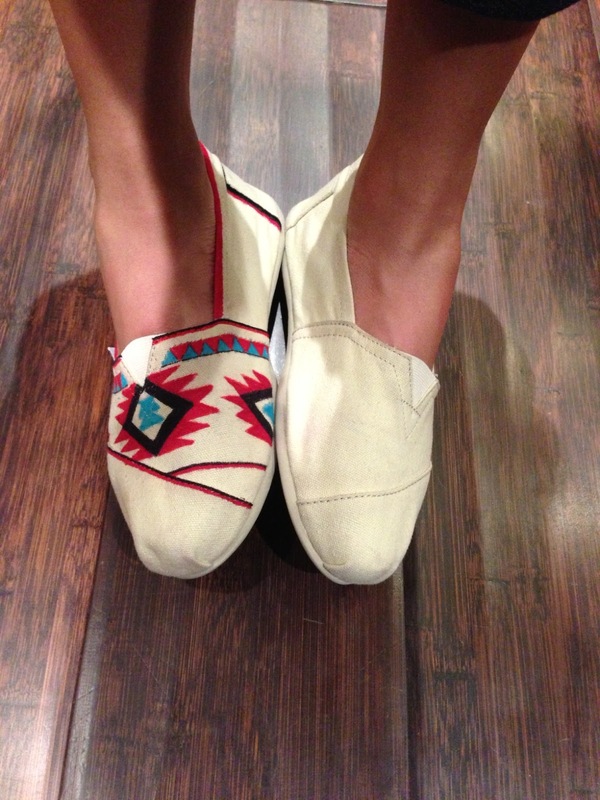 i knew a girl that charges people to design toms and was about to pay her almost what the toms were worth to draw on them when my cute hubby told me he could probably do it. Wow! He did such a great job! OMG totally in awe!!!! those look fantastic!!! He is very talented. Love those Toms! Wow! I saw these when you posted them on instagram! So cute!!! Very talented husband you got there!!!! oh my goshhhhh! those are awesome?!? 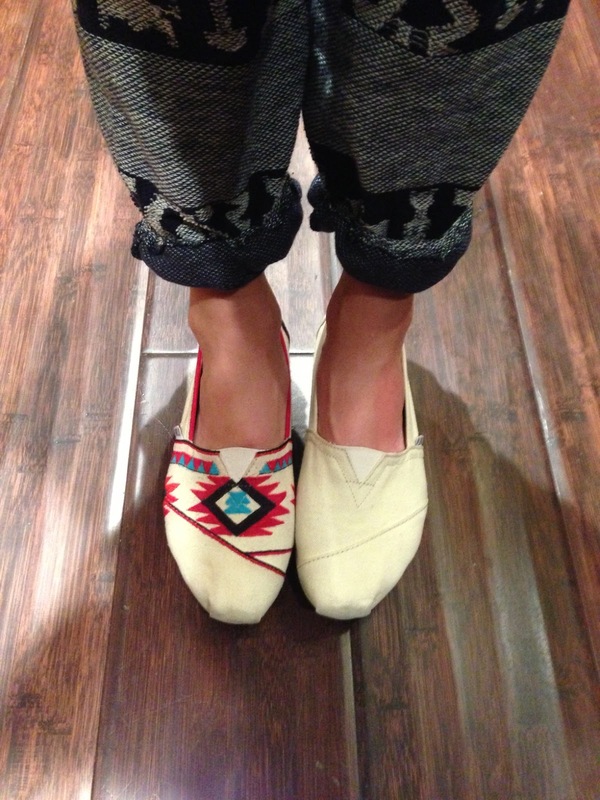 you guys should start a little side business of custom toms! too cute and what a talented hubby you have!! These are SO awesome...I can't believe he made these! Well done!! Those look fantastic! Super cute :) Yay for your husband! NICE! That's awesome! They look wonderful! Impressive! What do you have planned for him next? Wow! That is pretty impressive. They look great! These are adorable! He did a great job!! 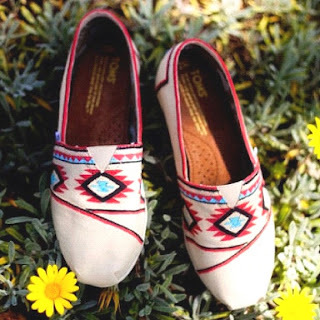 These shoes look amazing! They're definitely better than the original. So, I've just browsed a years worth of your posts and absolutely LOVE your style! I was wondering how "Cheerfully Charmed" works? I'm in the market for some bubble necklaces, but on the site it only shows 3 items? Please advise. Thanks!